Football inMotion is the first volume in an eleven part AllSport inMotion multimedia software training series. 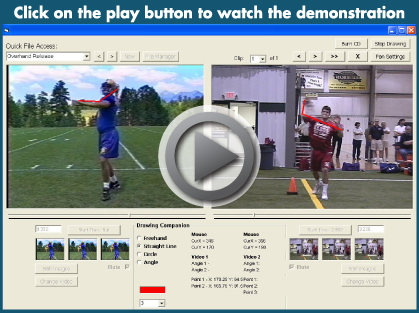 Football inMotion combines Quik Scout’s motion analysis software with 10 popular Coaches Choice football training DVDs. Over 200 Coaches Choice video clips have been pre-loaded into Football inMotion and organized into eight position-specific coaching segments. Football inMotion will help your players master proper techniques by comparing their skills, side-by-side and in frame-by-frame sequence, against an acknowledged reference point.